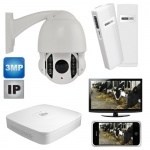 Calving cameras and Lambing farm cctv camera systems for sale. 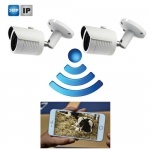 All our Hawk Digital Farm & Agriculture Hd CCTV Camera systems are available wireless, 4g &3g gsm for mobile phone accesss, ip or wired, with rotating zoom option and you can view on your mobile phone, pc, laptop or tv. Wireless calving camera system. Hawk wireless calving camera systems, available as 200m, booster antenna 1500m or 5000 meter wireless farm calving camera system. Available with 1 - 8 cameras & Mobile Phone viewing option also available. Hawk wireless long range calving camera system, 1500 meters, with Sony lens cctv camera, auto night vision, wireless transmitter & receiver. Ideal for metal sheds & slatted cattle sheds. Available with 1 - 4 cameras & Mobile Phone viewing option also available. 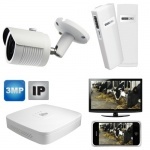 Gsm Calving Camera system - access your Digital 4g Hd Farm Camera / Lambing / Foaling CCTV Camera from anywhere - worldwide. remote viewing available with up to 4 cameras, can be viewed on mobile phone / pc / laptop and tablet. 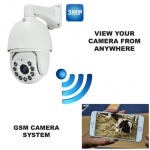 GSM Rotating Zoom Calving / Lambing Farm Camera system with 3mp lens with metal casing This allows you to log into your Hd farm / calving camera on your mobile phone / tablet and control the camera from anywhere. Digital Wireless Ip Calving / Lambing / Farm Camera System with 5000 meter / 5Km range. View your Digital Hd Calving shed on your TV / Mobile Phone, or Pc. Available with up to 4 cctv cameras. Rotating Zoom Calving Camera System for Tv, internet & mobile phone. Can be viewed locally on Tv or remotely on Mobile Phone, Laptop, Pc and Tablet or iPad. Digital Wireless 5000 Meter / 5Km Range. Available with up to 8 cameras. 4g Rotating Zoom Calving camera / Farm camera system with 2 x 10 zoom 3mp Calving Cameras. Wired rotating farm ptz camera. Can be viewed locally on Tv or remotely on Mobile Phone, Laptop, Pc and Tablet or iPad. Wired rotating zoom farm ptz camera with joystick controller. Can be viewed locally on Tv. Calving camera - single wired Hd farm calving camera. Suitable for wired and wireless sheds. 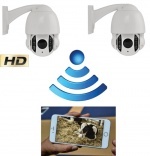 Wired or wireless Hawk calving camera system with 2 calving cameras and multiplexer / processor box for monitoring cattle calving or farm yard security surveillance, day or night. Can be viewed locally on Tv or add on option available to allow remote viewing on Mobile Phone, Laptop, Pc and Tablet or iPad. Available with up to 8 cameras. Wireless transmitter & receiver for calving cameras, foaling, lambing & agriculture cameras. 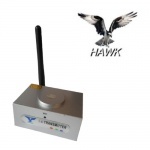 Make your farm camera wireless with the Hawk 200 meter wireless transmitter / receiver system. Also available in longer ranges. 1500 meter wireless transmitter & receiver system. Can transmit sound and vision / colour picture. Wireless transmitter for calving cctv cameras. 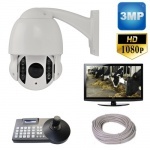 Farm cameras and agriculture cameras for sale in Ireland. All our Farm Cameras, Lambing Cameras are available as wired, wireless and 4g / 3g gsm cameras, viewable on an iphone, android phone over the internet, wireless and can be viewed on a mobile phone, farm cameras for iphone mobile phone available.